J. Maher and A. Ossorio Waterworks. My name is Alex Ossorio and I have been working with my brother Luke Ossorio for about 10 years as sole traders. We originally worked with our grandfather Mr Maher. The company has been running for about 15 years. 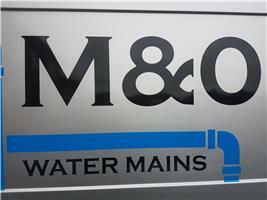 We install water Mains with our trenchless technology. This will save time and money for the customer and cause the least disruption possible on the driveway. When we lift any of the driveway in sections, we will put it back to its original state. We also alter any plumbing work that needs to be altered inside to complete the work.